It also allows you to select different 24/7 TV shows, the show you select will then play every episode in order. The Insomniac addon is always being updated with the latest 24/7 stream sources , features and content, the means that you can find any stream you want in 720p and 1080p. This is one of the best Kodi 24/7 streaming add-ons available right due to its number of sources and high quality streams. Give the source a name you will remember later e.g. Insomniac. Scroll through the list and find the file called “repository.illuminati-1.0.3.zip”. Go back to Install from repository and select Illuminati Repository. Find the Insomniac Add-on and then click to install it. You can now go back to your main menu of Kodi and find the Insomniac plugin/addon under Video Add-ons and you are ready to go, simply open the addon! All done! 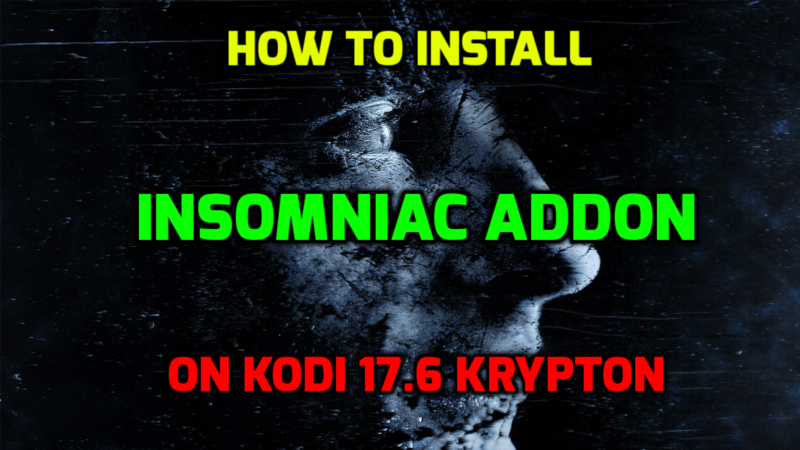 You now have the Insomniac addon installed, one of the best Kodi 17.6 addons available for 24/7 streams!